and work motivation changes in response to events that disrupt how their lower level needs are met. focus to growth. 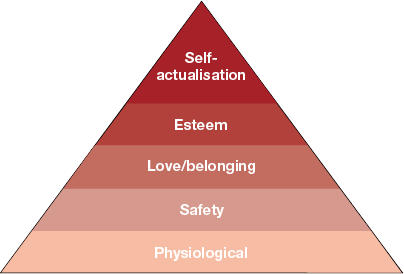 Maslow termed this self- actualisation. Watch this short video by MACAT taking a look at Maslow’s theory of Human Motivation.